Thank you all so very much!! Please visit the bottom of this page and check out some of the great bloggers that nominated me for these awards. http://blueheronwisdom.wordpress.com for the Inspirational Blogger Award. http://fasab.wordpress.com for the Versatile Blogger Award. http://littleboxofbooks.wordpress.com for the Beautiful Blogger Award. http://terrioa.wordpress.com for the Sunshine Award. http://healingforthenation.wordpress.com for the Sunshine Award and the Versatile Blogger Award. http://mauldinfamily1.wordpress.com/ for the Versatile Blogger Award. http://truthspeaksthroughaction.wordpress.com/ for the Wonderful Team Member Award. http://carmenisabelgonzalez.wordpress.com/ for the Versatile Blogger Award. http://moggiepurrs.wordpress.com/ for the Sunshine Award. http://akanksharastogi.wordpress.com/ for the Illuminating Blogger Award. http://plaintalkandordinarywisdom.com for the Sunshine Award. 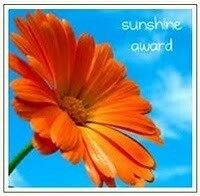 http://ginaquarles.com for the Sunshine Award. 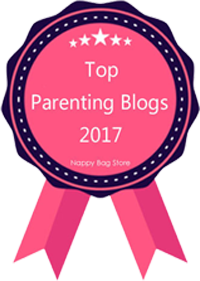 http://sherrimatthewsblog.com for the Bouquet of 3 Awards – The Sunshine Award, Versatile Blogger Award and The Best Moment Award. http://thisfineday.com for the Leibster Award. http://choosetoseewithyourheart.wordpress.com for the Leibster Award. http://findingourwaynow.com for The Best Blog Supporter Award. http://plaintalkandordinarywisdom.com for Award Winning Blog has Been Blessed Again. http://plaintalkandordinarywisdom.com for the Dragon’s Loyalty Award. http://catherinelyonaddictedtodimes.wordpress.com for the Sisterhood of the World Bloggers Award. http://plaintalkandordinarywisdom.com for the Sisterhood of the World Bloggers Award. http://sherrimatthewsblog.com for the Blog of the Year Award 2013.
http://plaintalkandordinarywisdom.com for the Blog of the Year Award 2013.
http://selectionsofreflections.wordpress.com for the Sisterhood of the World Bloggers Award. http://moggiepurrs.wordpress.com for the Friends and Followers Award. http://www.sylviagautier.com/ for One Lovely Blog Award. http://plaintalkandordinarywisdom.com/about-me/ for the Butterfly Light Award.